The special report on the hospitals sector was carried out in 20 Irish hospitals. A SPECIAL INVESTIGATION by the Data Protection Commissioner (DPC) has raised a series of concerns about how data is handled in Irish hospitals. The special report on the hospitals sector was carried out in 20 Irish hospitals and found a number of issues in how data is managed in hospitals. The report, carried out by the Special Investigation Unit (SIU) was released today. It was carried out throughout 2017 by officers from the DPC. The DPC says that the report was a two-fold concern. “Firstly, its purpose is to bring to the attention of every hospital in the state the matters of concern that our inspectors found in the sample of twenty hospitals inspected. “In one hospital on the corridor of a public ward, patient charts of current patients were stored in an unlocked glass cabinet. On further inspection, a patient medical chart of a discharged patient was found disregarded on top of the glass cabinet. On the same ward, the inspectors observed two cardboard boxes containing patient charts of discharged patients. Overall, the report highlights concerns in a number of areas and makes 26 separate recommendations. 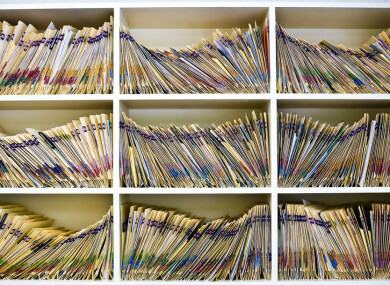 These include concerns on the use of fax machines and the storage of hospital charts. It adds that “a screen saver should appear on locked screens to ensure that no personal data of patients remains visible”, as this had previously been an issue. Email “A patient's medical chart 'was found on top of a glass cabinet in a hospital'”. Feedback on “A patient's medical chart 'was found on top of a glass cabinet in a hospital'”.